This wall-mounted humidistat boasts a microcomputer design and offers a large LED digital display with a back-light and the ability to lock in your preferred relative humidity set-point from 0 - 100% RH. Outputs controlling humidification and dehumidification equipment by means of on/off or proportional output signals for greater flexibility. Modulating Output Signal provides a 0-10Vdc or 2-10Vdc proportional control signal to the humidifier. 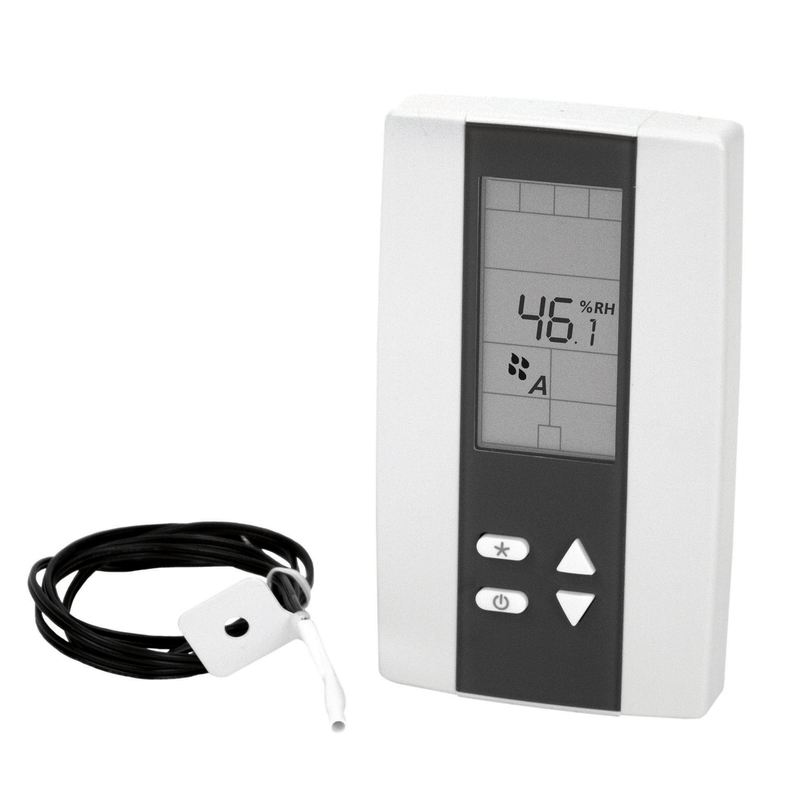 Humidity set-point reset function based on outdoor temperature which helps prevent condensation in colder climates. Humidifier On-Off signal 24Vac dry contact capable of handling up to 1 amp. Proportional High Limit Override to prevent over-humidification within the duct and costly water damage. Multi-level lockable access menu and lockable set point to prevent accidental changes.